1st day back in BO city! Allora, after 2 days of wandering the streets of Bologna, I was very happy. The Christmas lights, the markets, the stalls, the shops and the people all make Bologna very special during the holiday season. 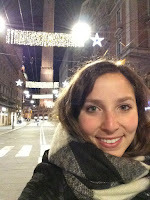 I arrived around 6:30pm at my hotel in Via della Zecca after a long day of travel and I couldn’t have been happier. I even decided to splurge an extra 10 euro, to upgrade my room! My hotel was so central, so I showered quickly and then hustled down the stairs with my camera in hand ready to see Piazza Grande and find my first meal. The tree in Piazza del Nettuno was not disappointing this year, full and tall it stood watching over the piazza, down via Rizzoli and down Via Indipendenza. My only complaint was that poor Neptune remained hidden under the scaffolding of restoration, I miss him! I hope his restoration doesn’t take nearly as long as that of San Petronio! 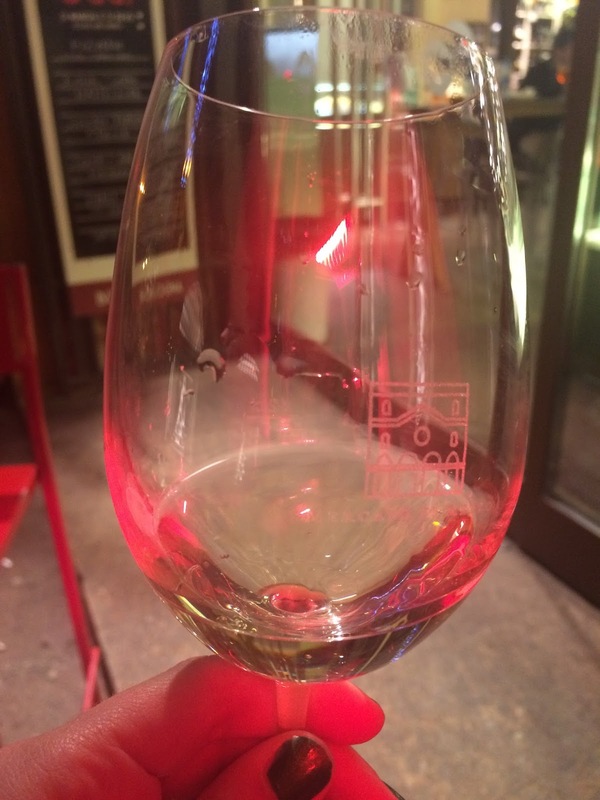 I walked through the markets of Via Pescherie Vecchie, scoped out the various wine bars and which ones might have been new. 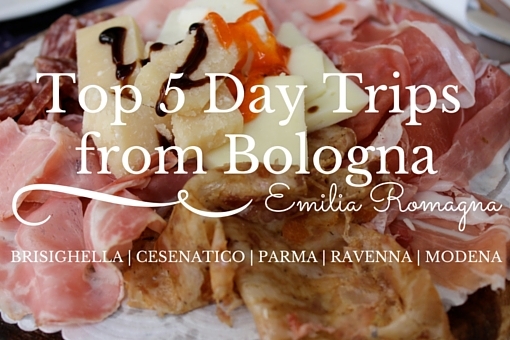 I strolled the streets just envious of the people walking by who likely call Bologna home. Already, I could feel Italian life soaking back into my veins. Where was I to have my first pignoletto? How many streets could I walk before I got hungry? I decided to stay within the Quadrilatero because it is the combination of just the perfect streets filled with meats, cheeses, vegetables, fish, people and booze J I headed toward the Mercato di Mezzo in search of pignoletto and 5 euro later I was pignoletto in hand sitting outside under a heat lamp looking at the cobblestone streets that lead toward Piazza Maggiore and listening to Italians chat and walk by. Innamorata di nuovo. Even feeling under the weather, I managed to have a great first night. The pignoletto helped set the tone, I spoke with my parents, ate some tiralli then headed out to admire the Christmas lights throughout the city and find a good first meal. I ended up at Trattoria Tony in Via Augusto Righi. I had been here once before and enjoyed it, so I said hey, why not again when I walked past it has hunger hit me! Un bottiglia d’acqua gassata, ¼ litro vino rosso, una lasagna Bolognese per piacere J And just like that my Italian Christmas adventure and weight gain had begun!